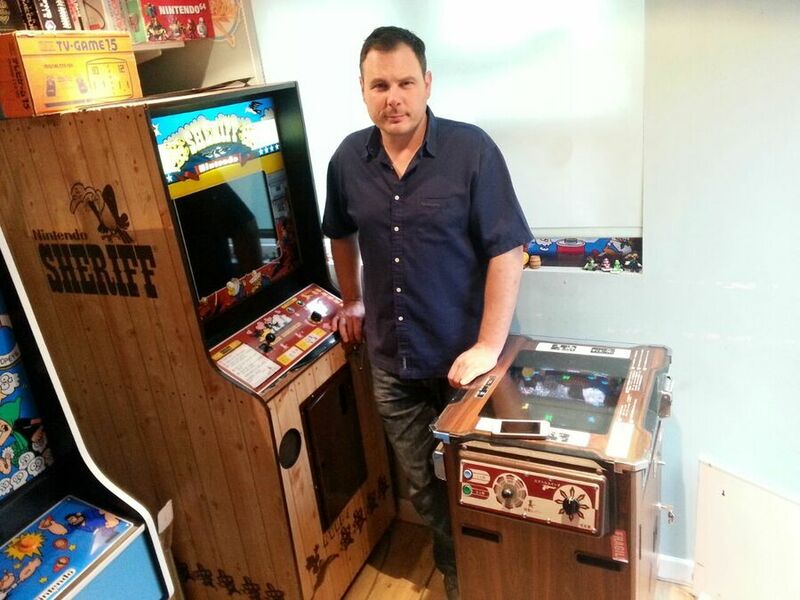 Earlier this year we invited you to step into the Nintendo Arcade and meet London based Alex Crowley, who has amassed a legendary collection of classic Nintendo arcade cabinets. 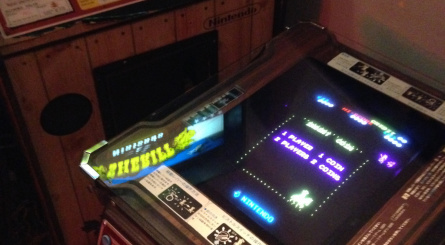 It's easy to forget that before it shot to prominence with the NES system, in particular, a core aspect of Nintendo's business was in arcade machines. 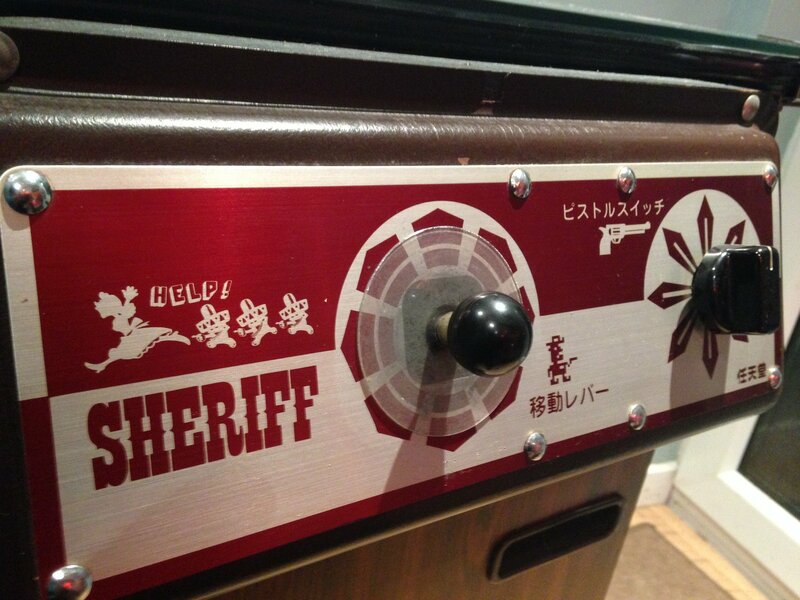 Alex has been expanding his overall Nintendo collection and has added two Sheriff cabinets to his arsenal. It's one of these cabinets, in particular, that's grabbed a fair amount of attention. A particularly rare model has been acquired by the Londoner, which has made him the talk of specialist forums online. We caught up with Alex to learn a little more about the cabinet and what makes it special. To kick us off, can you tell us a little about this game's history and what attracted you to it? What attracted me to finding this game was its unique control system and the fact it was the first game that my hero game designer - Shigeru Miymoto - worked on; also it is one of the first games of its time to have an open field of gameplay to move around in. So it was quite significant in terms of where gameplay was going and the fact it really was Nintendo's first original game. 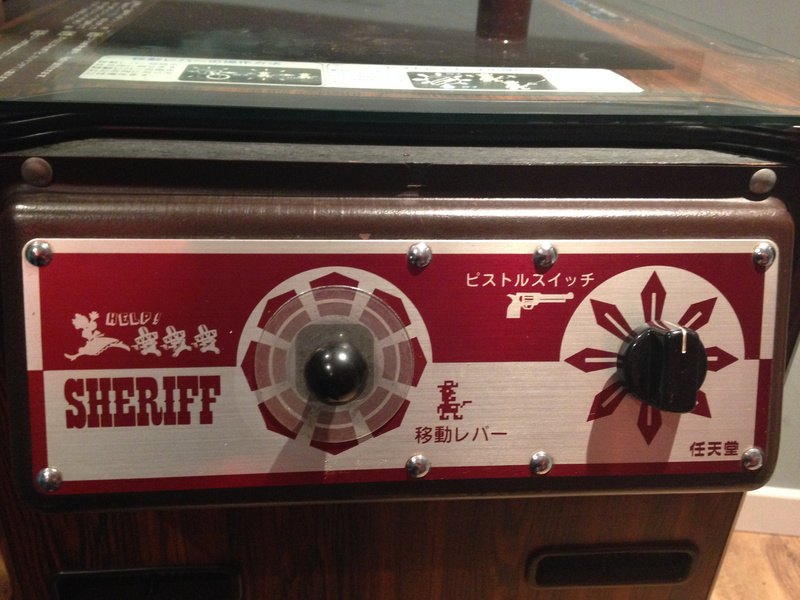 Sheriff was released in 1979 and Nintendo really didn't have any original games of their own until that point. Also, the cabinet art work is the best I've ever seen, with full side art that covers the whole cabinet; the designer of Nintendo's Game & Watch series had worked on it. Also, no pictures of an actual cabinet had have been seen before until now. This game is a Nintendo collectors Grail for all these reasons. 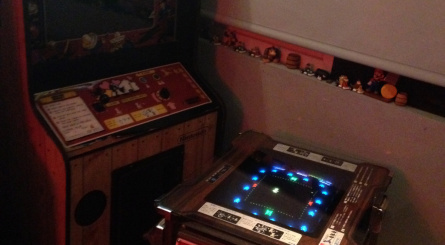 How did you track down this ageing arcade slice of history? I've been tracking this game down for 5 years now, and found it extremely difficult to find any information as there are no known pictures of the cabinet on the internet. Nintendo released a flyer with this game, as they did with all their arcade games, but no one had ever seen any pictures on the taller cocktail version. Shown in the flyer there is a white tabletop version or cocktail, as its called in the UK, a full upright cabinet and a taller cocktail cabinet. There are only two known versions of the upright cabinet in the world, and I have one of them. The white table top is a more common cabinet, even though the game inside is extremely rare, but it's the taller cocktail version that no one even knew it existed until now. Finding a cabinet that's never been seen is hard work, as you don't really know what it looks like until you see it for yourself. I found this cabinet on eBay and it was an amazing day for Nintendo fans. What are the main differences between this version of the cabinet and the more common alternative? The main difference of the cabinet from the other two is its size and shape. 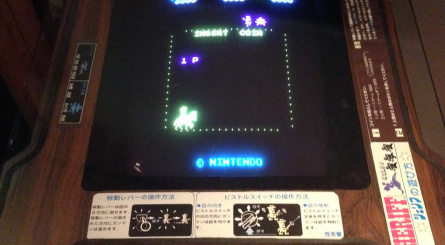 Also this is a Japanese cabinet and would have only been released in Japan, but because of its fantastic condition and small amount of plays I believe this could have been a promotional cabinet sent from Nintendo headquarters to England to show of its new game, as this as never been in an arcade. Finding a cabinet that's never been seen is hard work, as you don't really know what it looks like until you see it for yourself. Did you need to do much restoration on the cocktail table before it could be put into use? The almost perfect condition of this cabinet has meant I've only needed to give it a good polish, as it's been so well looked after. Internally it is immaculate, with all the original game parts; with just 6094 game plays on the counter this has never been in an arcade. 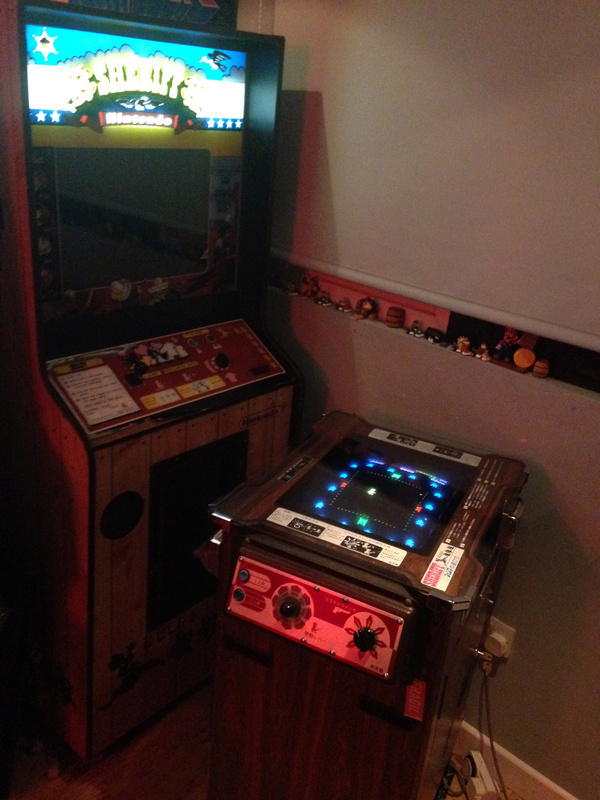 How rare is the cocktail table version of Sheriff in comparison to the regular stand-up cabinet which you already own? 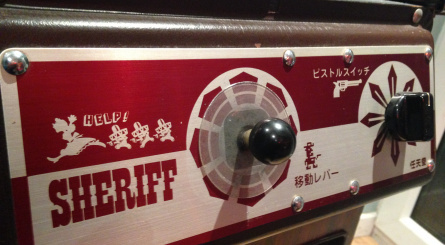 Sheriff is the rarest Nintendo arcade game to be found, all versions of this game are rare but there are only two known upright cabinets in the world. And I have the only known taller cocktail version in the world. Can you tell us a bit about the controls on this game? It seems the 8-way joystick wasn't well loved at the time - how do you find it? 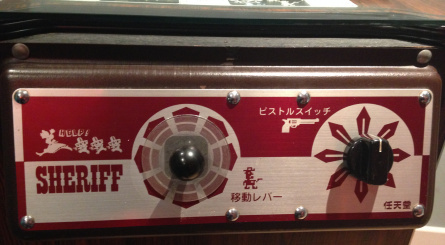 The controls for this game are unique, in fact it was one of the first games to incorporate an 8 way control system for shooting. 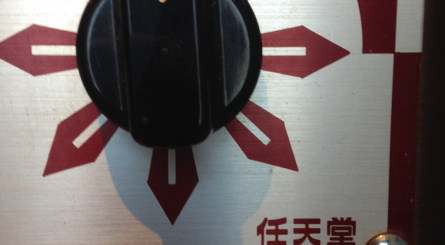 But instead of it being a joystick like in Robotron, Nintendo made a knob which you could turn 8 ways, like a gas knob on a cooker. Although quite different in the way it looks it is quite cumbersome compared to the later twin stick games. I've got used to it now and I find it suit the pace of the game perfectly. Can you tell us a bit about the gameplay? How enjoyable is it compared to other games of its era? The gameplay has you playing the character of Mr Jack, who has to rescue his fiancée Betty from the gangs that have kidnapped her. There are 16 gang members in all & they rotate around you in an arena, in which you can move around and cover behind barricades. Your objective is to shoot all gang members to proceed to the next level, for bonus points up to 300 you can shoot the condor that moves across the top of the screen, like the mother ship in space invaders. Once you've completed 3 levels you are greeted with a love scene in which Mr Jack and Betty kiss, the screen is filled with hearts and your scores multiply by 2. These are touches where you can clearly see Shigeru Miyamoto's input into the game. Donkey Kong takes a lot of credit for being the first game with a story and damsel in distress, but it was Sheriff that first took this game mechanic. I love this game and would recommend it to every Nintendo fan to play it, but it's impossible to play on emulators due to its unique controls; you can find it on WarioWare on the Game Boy Advance, though, in which you unlock the game in later levels. Is the artwork on the cabinet itself typical or a bit unusual for its era? The artwork only consists of instruction decals around the top of the glass, but it's the beautiful art style on the control panels that set it of. 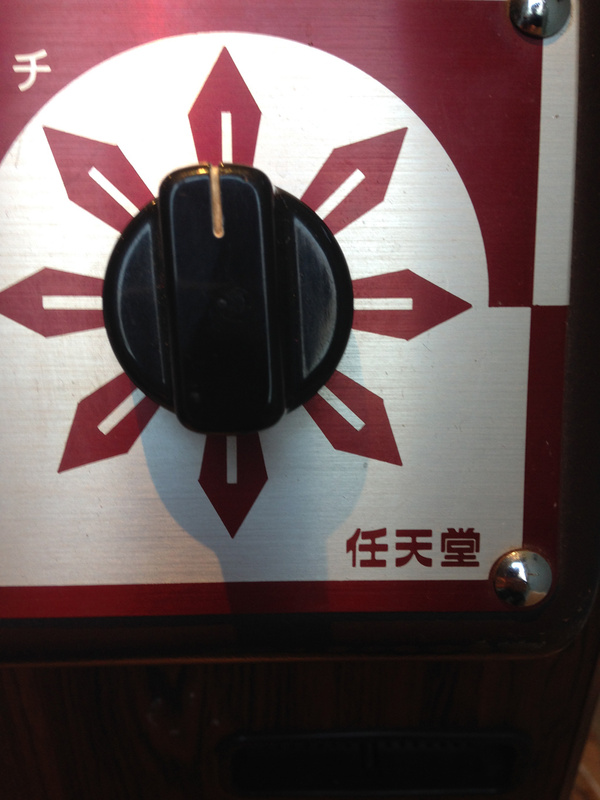 The Japanese text and the beautiful characters designed by Shigeru Miyamoto really attract you to the cabinet to play. 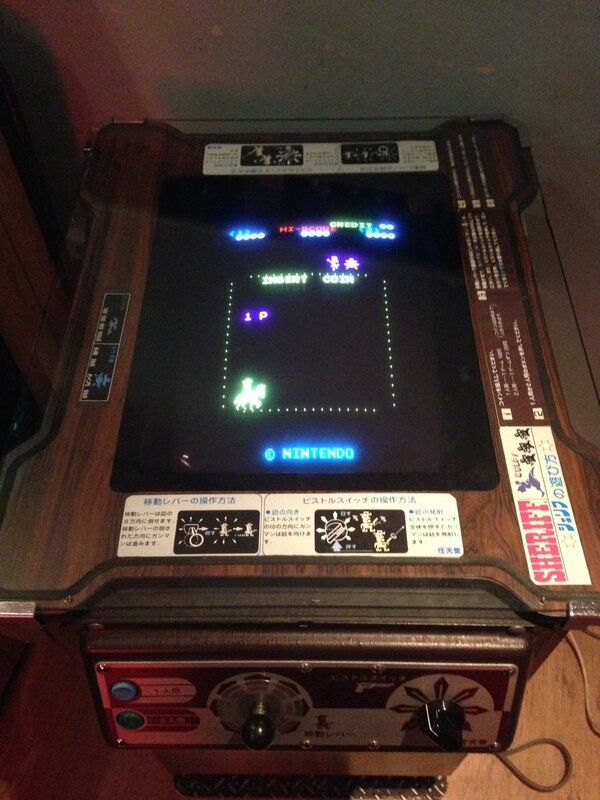 Do you have much of a sense of how well received this arcade was in Japan, USA and the UK back in it's day? The game was relatively successful in Japan and the US, but in America it was licensed under a different name of Bandido by Exidy, and the cabinet looks completely different - hence why the Nintendo version is so rare. I do remember playing this in the arcades back in the day and I think that's another reason why I wanted to find this game so much, as it brings so many good memories back for me. How much do you know of Shigeru Miyamoto's involvement in this game? Which other famous Nintendo alumni are rumoured to have had a hand in this? I think Shigeru Miyamoto had a lot of involvement in this game from the characters to the storyline. The cabinet and gameplay is full of beautiful characters which in his later games you can see he used in one way or another. It is also said that the man in charge of the Game & Watch series had some involvement in the cabinet art, also. Will you be trying to track down a Sheriff 2 cabinet next? Or do you have any particular cabinets at the top of your wishlist? I have two of the rarest Nintendo machines in the world but there is always room for one more, and the game I really want is Sky Skipper. 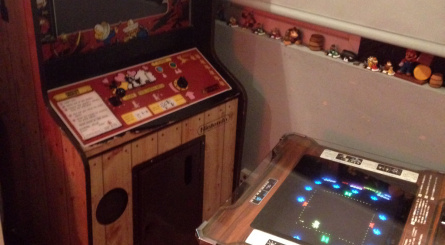 What's next for the Nintendo Arcade? 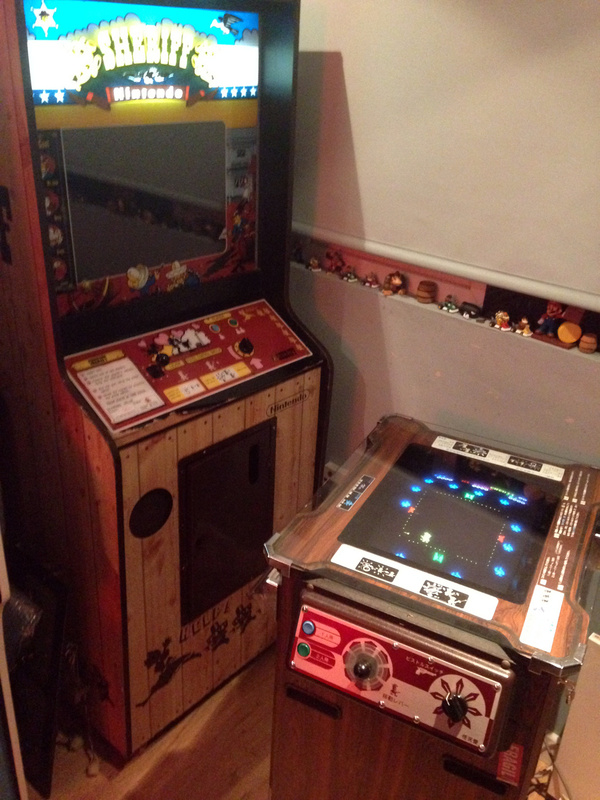 I would like to expand my arcade and find more rare Nintendo arcade machines. The history of Nintendo is a fun and colourful place to start collecting. We'd like to thank Alex for his time; you can follow his progress on Twitter (@NintendoArcade) or find him on Facebook. That's really cool. The design of the machine is stunning. "and the game I really want is Sky Skipper"
Damn straight. Great little game that one was. The quality of his Sheriff is fabulous. Takes me straight back to 1979. This is amazing. I shudder to think what he paid for it. Glad to see it's in good hands! Never knew this existed thanks Nintendo Life! It's the real last game I want too . I was tired and read the title as some Nintendo arcade collector being shot in the hip. I hope he has a speedy recovery. At 1:48, what is this game called Kong Off II? That's one lucky dude to have a one of a kind item like that! I love the artwork on that cab! I've never seen anything like that. Even with the issues on the control panel, that is still in amazing condition; at 35 years old would have expected some burn in, torn up vinyl on the sides and a handful of unoriginal or poorly painted parts. 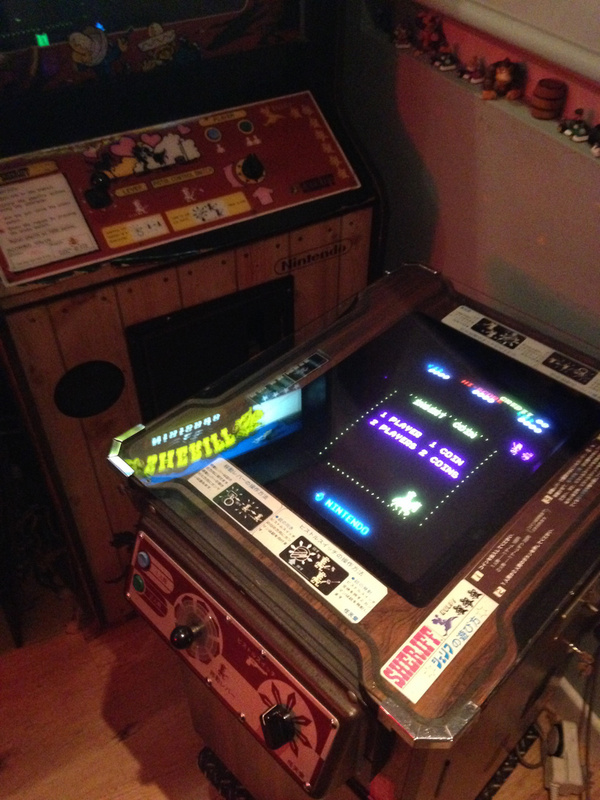 Honestly, it is amazing that it even works considering how finicky arcades can be. For those curious, remember that there is one way the game is available to the general public right now. A remake was included as a full minigame in WarioWare: Inc., Mega Microgame$, unlockable by scoring 25 points on the next-to-last stage. It has Wario's nose on the sheriff himself and he's able to walk faster than in the original, but otherwise, it's a faithful recreation from what I can tell - the L/R buttons even simulate that knob. 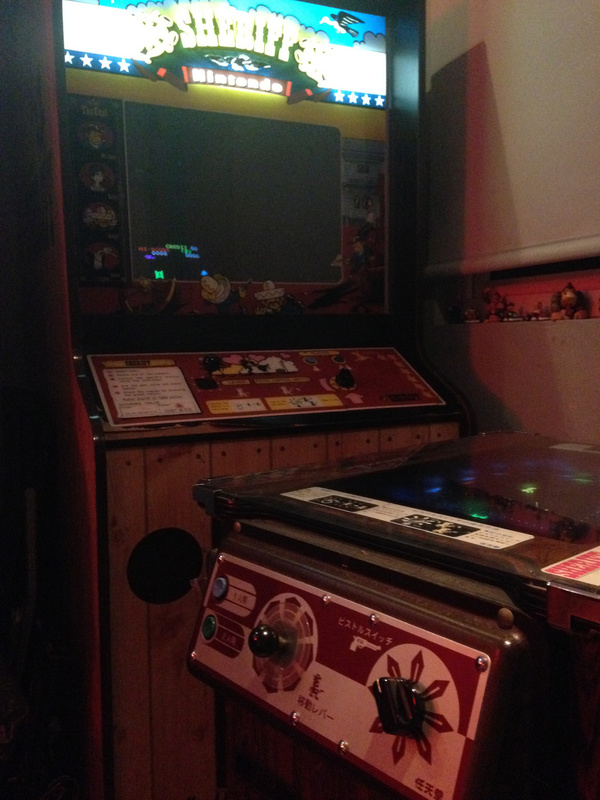 @SKTTR Kong off is a competition held every year for the best donkey kong players. Why was Sheriff never released on VC? I think I may have played this. The strange control seems familiar as do the graphics, but I was probably very young and it was the exidy box, I'm sure. I know I'm way late to the ball game here on this video about Sheriff, but I used to rock this game playing by the hour as a kid at my grandparents bowling alley growing up in Albuquerque, NM. The version that they had was the rebranded one named "Bandido" by Exidy. 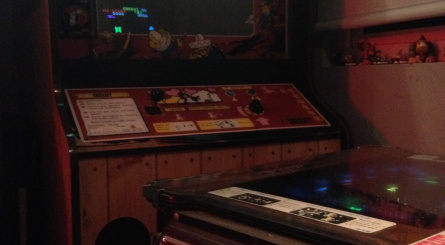 Glad to see some love for a favorite arcade game I played as a kid!